HVAC (heating, ventilating, and air conditioning) plan is a part of the indoor environmental control system. It is aimed to provide inside air comfort and quality. Designing HVAC systems is a job for mechanical engineers. 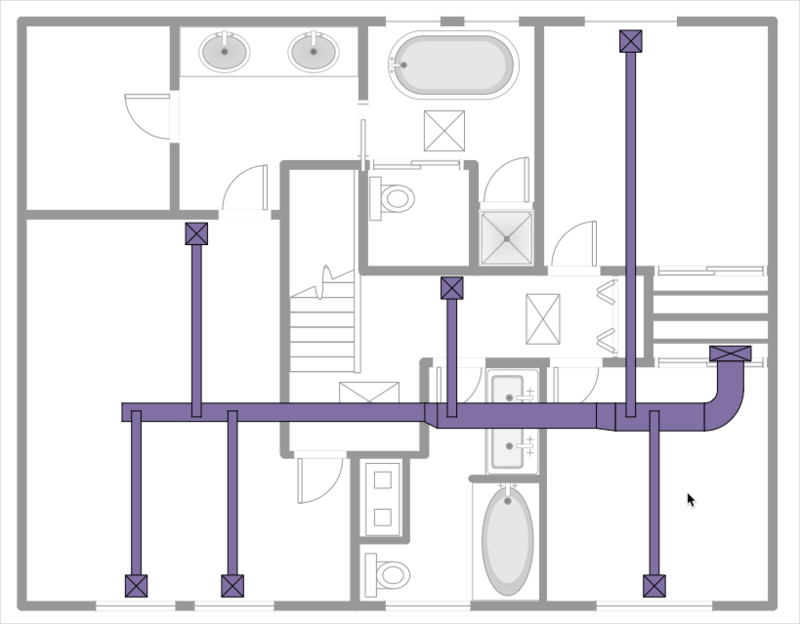 In conjunction with the floor plan, it provides us with the layout of the ventilation equipment inside the building. HVAC plan is an important document for building construction, as well as for repair or replacement of ventilation equipment. Making an HVAC plan that shows the location and connection of HVAC equipment involves many different elements that can be depicted with special graphic symbols. The ability to design HVAC floor plans is delivered by the ConceptDraw HVAC Plans solution. This solution supplied with 7 libraries that contain more than 240 vector stencils of HVAC equipment. Open a ConceptDraw DIAGRAM new document and select the libraries from the HVAC Plans solution. Also, you may need some libraries from the Floor Plans solution. Use Action button to show/hide the sizes of HVAC system details using the current measurements of units. Complete your drawing using the format tools. Result: With ConceptDraw DIAGRAM you can easily create and communicate HVAC plans of any complexity.